I arrived at my desitnation in Spagnola, across from the island of Mozia, in the evening. The owner of the campground greeted me with Pani Cunzatu (a loaf of bread with olive oil, cheese, tomatoes and olives) and a glass of wine. Quite a welcome! I vsited with the owners, Lucio and Rosi, and their family. The next morning Lucio drove me to the city of Marsala and introduced me to the owner, Mr. Bonomo, of one of the wine cellars, Cantine Mothia. Mr. Bonomo had been a third generation wine barrel maker until he purchased the Mothia Wine cellars approximately 15 years ago. He was very proud to show me around and explained so much about wine making. As one enters the facility, the large courtyard displays a variety of old fashined tools and machinery used in the past. In the past, the above machine was used as the wine press; a blindfolded horse was attached to the pole and would go around the machine, thus pressing the grapes. 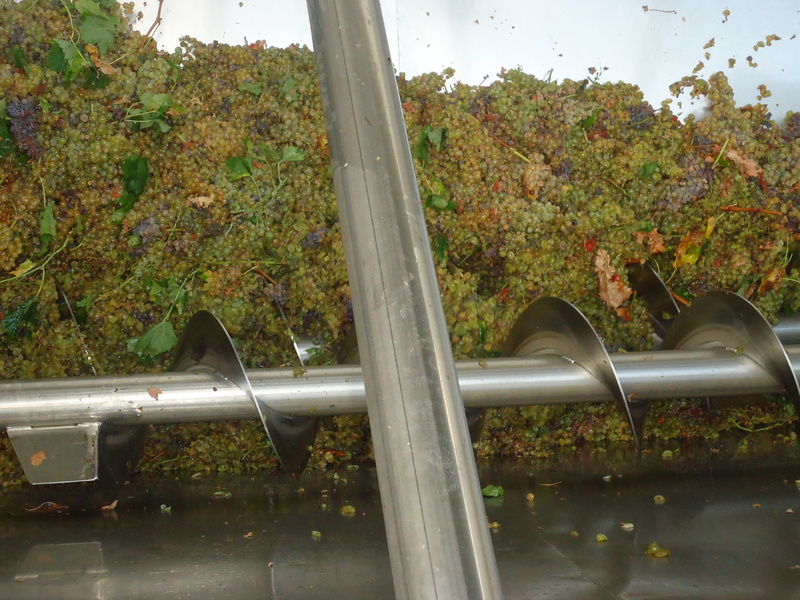 Below, is a picture of today’s wine press. 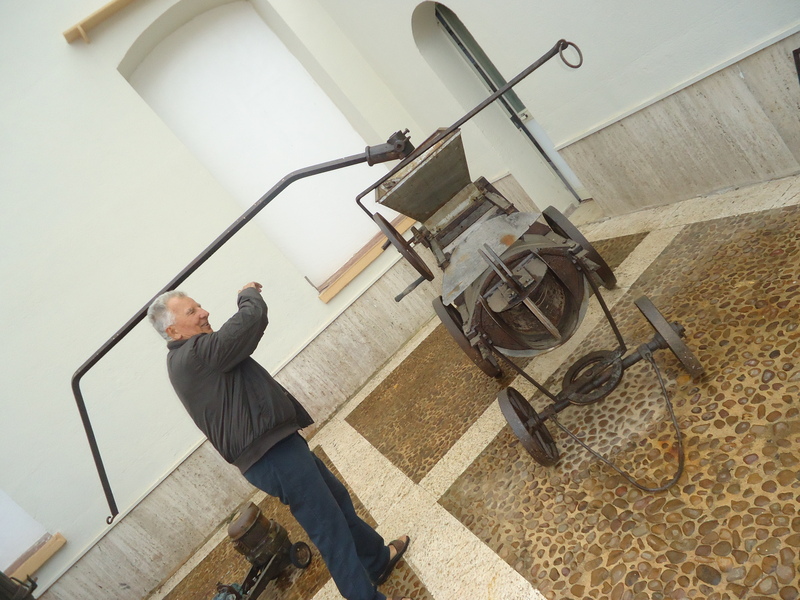 Later that afternoon, I returned to the winery to watch the grapes being pressed as shown in the picture below. 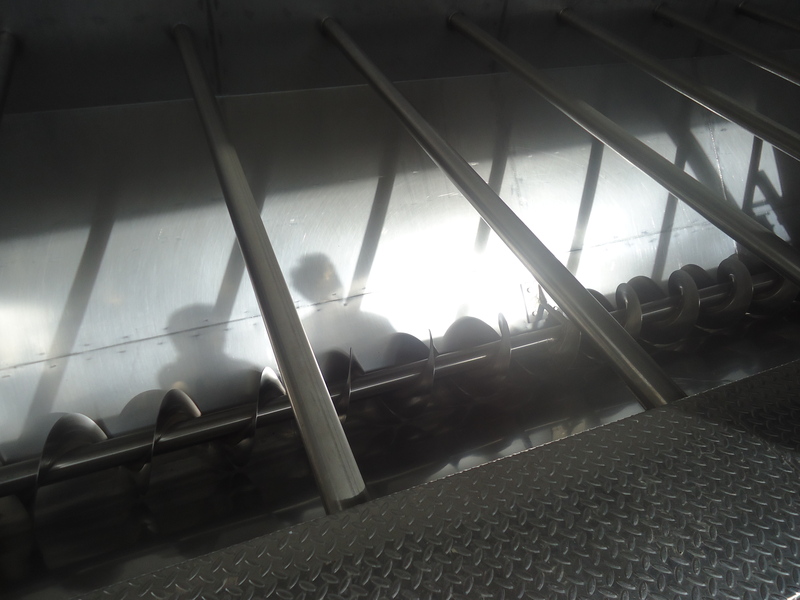 It was interesting to learn that nothing is wasted in the whole process of winemaking. In fact, the grape stalks are burnt to create energy, the “vinaccia”(morc) is made into “grappa” and the grape seeds are made into oil. 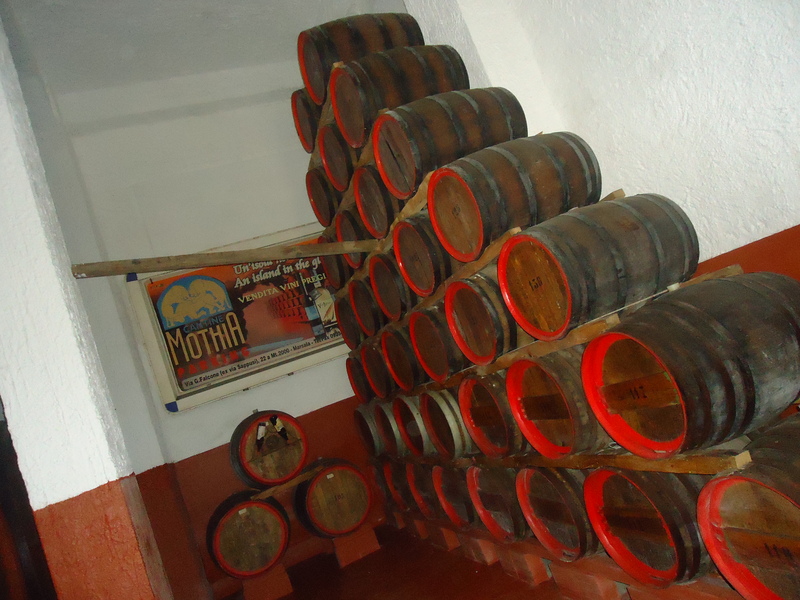 Besides the large steel wine barrels containg the recent wine, there were some old wooden barrels which contain a wine which has been aging for forty years. See picture below. The grape variety used to make the Marsala wine is Grillo. 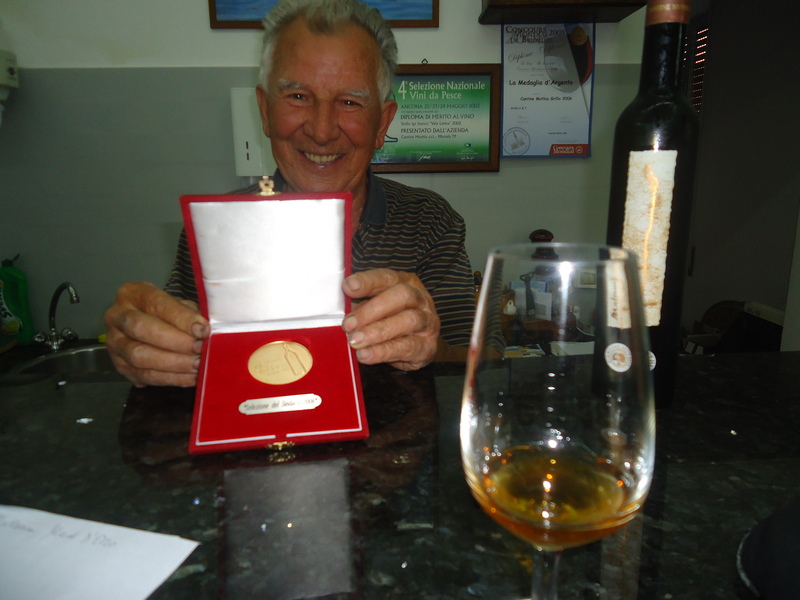 Mr. Bonomo won a Gold Medal for his Mulsum wine made from the Grillo grape and below one can see the proud winemaker displaying his medal.